There were alligators under my bed. In the stillness of night beneath the blankets in my childhood room, I used to lie listening for the two creatures I believed were lurking silently, menacingly just below me, two beasts that had the power to snap me up at any moment if they chose to. I imagined their frightening toothy grins, their unblinking beady eyes, and my heart would race and pound in the quiet darkness. To soothe myself in those fearsome moments, I would remember that I knew the secret to my own safety: if I kept the blankets hanging down evenly on both sides of the bed, the alligators would be appeased and would leave me to slumber peacefully. I still sleep with the blankets arranged just so all around me. Of course there weren't actually alligators under my bed. Those figments of my imagination appeared early on in life as a symbol of what I would always fear most: the difficulties and dangers of the world that could creep out of nowhere and threaten to swallow me whole, without me knowing how to save myself. If only the answers were always as simple as the symmetrical arrangement of blankets on a bed. This past week I have seen you wrestling with alligators of your own, my sweet boy, and my fear in those moments was that I wouldn't know how to help you. Your good health was taken from you temporarily with the sudden impact of a flying ball, and you were dizzy with a lost sense of self and safety. Your worries grew into giant sized beasts that circled around you unrelentlessly, and it must have seemed to you then that you might never escape their powerful grip. 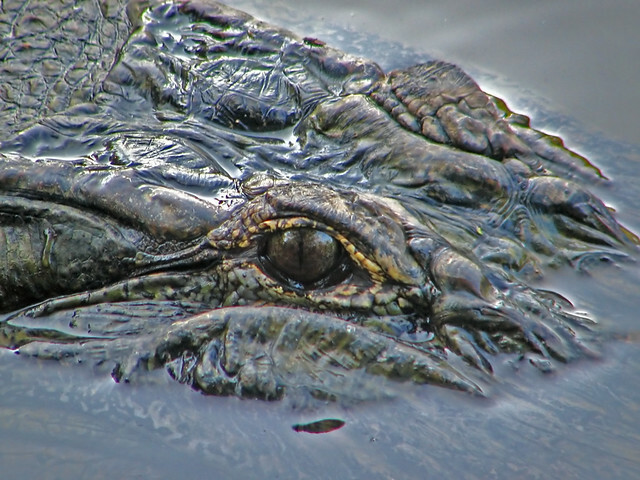 I sensed you struggling and surrounded you with love and support, offering up the tools and tricks I've gathered over the years from my own challenging encounters, but I came to realize that ultimately it would be you who had to stare those alligators down and send them slinking away under the dark waters. Watching you learn to do just that has made my heart ache with both sadness and pride. I wish I could have sheltered you from ever coming face to face with those terrifying creatures, Will. The truth of life's struggles reflected in their eyes is unsettling for children to experience. I can offer you this reassurance, though: I've learned that most often, facing what we fear results in us growing stronger and wiser rather than being swallowed whole. Adversity teaches our hearts the secrets that will lead us to our own triumphs. Will has had a rough week recovering from his concussion. I am happy to report now, though, that he has shown much improvement in the last couple of days and is seeming more like himself again. These kinds of unfortunate experiences sure make us aware of how truly precious our children are.